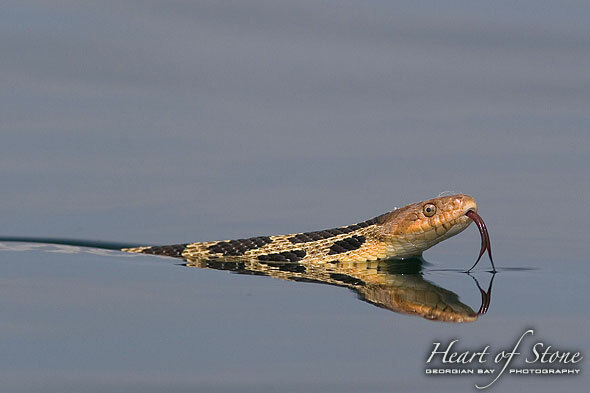 An eastern fox snake floats perfectly reflected on the calm waters of a high-pressure system. This entry was posted on Wednesday, October 20th, 2010 at 5:12 pm. It is filed under 16x24", 5x7", 8x12", Featured, Images, Parry Sound to Port Severn, Wildlife, Wildlife - Snakes. You can follow any responses to this entry through the RSS 2.0 feed.